Gardiner Peak is a lesser known mountain that sits off the backside of the Boise Ridge, just a bit south of Shafer Butte. The peak itself isn't very prominent, but the surrounding area is highly scenic. This is definitely an under appreciated trail, only about an hour from Boise. My family has a great little tradition of going for a hike on Father's Day every year. 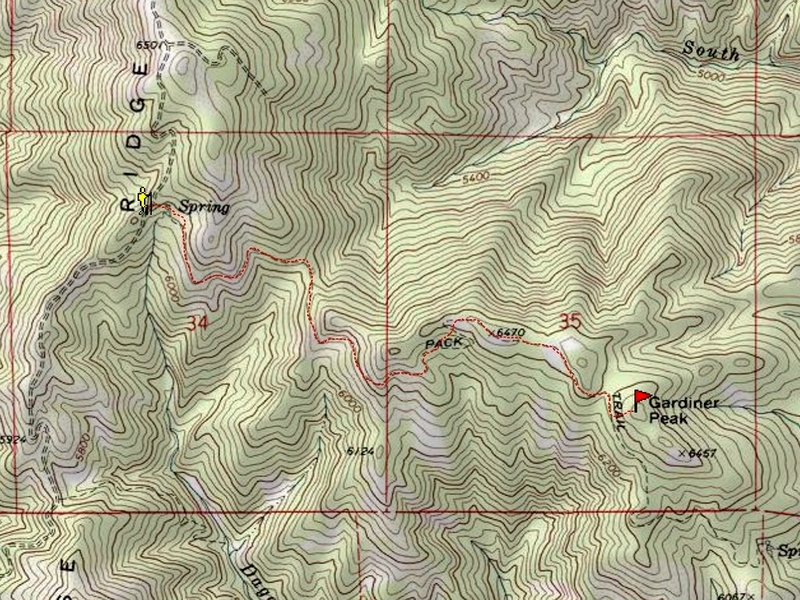 This year's hike on the Gardiner Peak trail could be our best one yet. We drove up 8th Street to get to the Boise Ridge Road, then headed north past Eagleson Summit to reach the trailhead at "Peace Sign Rock". The drive was a fun adventure, but I'd recommend the easier/faster drive up Bogus Basin Road instead, which is the way we drove back. The trail starts off in the trees with a mixture of sun and shade along the way. The trail doesn't seem to get much use, just enough to keep from getting overgrown. Watch out for mountain bikes, and the trail is open to motorcycles as well. Along the way there were several open areas to allow for good views, we even got a glimpse of the Sawtooths in the distance at one point. Probably the highlight of the day was the wildflowers, we saw close to 20 different types. We all had a great time on this hike. The kids enjoyed the gentle trail through the trees, and my wife and I enjoyed checking out all the wildflowers. The mix of shady forest and open meadows was great. The final stamp of approval on the way back was an unsolicited proclamation from my 9-year-old who said "Great choice on a hike Dad." Made my day. Map of the route, just under 5 miles round trip with 800 feet elevation gain. Trailhead at Peace Sign Rock. View of Boise Peak and Treasure Valley. Nice hike through the trees. One of several meadows we passed through. Posing for a photo op. View of the valley on the way back. View of Schafer Butte from the ridge. 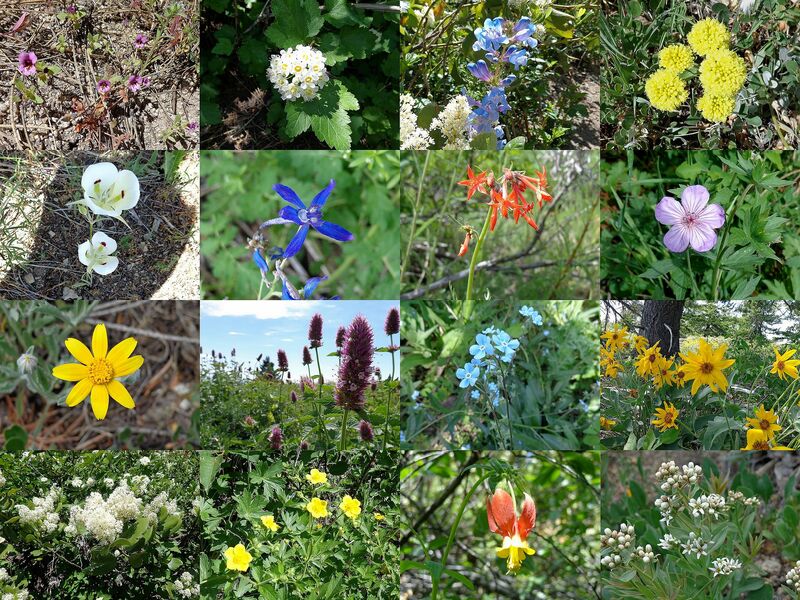 Samples of the numerous wildflowers we saw.